Everything in the Universe is a form of energy and has a vibrational frequency. This includes everything you can see, hear, taste, touch and smell. Every tree, every rock, chair, sun beam bird, insect, etc… is vibrating at a certain vibrational rate. Light, for instance, vibrates at a very high frequency and something like a rock vibrates at a lower frequency. We as humans also vibrate at different frequencies. Our thoughts and feelings determine the frequency at which we vibrate and we send this vibrational energy out into the world which in turn attracts similar energy back to us. We can have great influence around the events and circumstances and relationships we attract to ourselves by raising our vibration. We are all mirrors for each other, providing ourselves with glimpses into the many choices we have in our own lives. We’ve all met someone that seems to “shine”, people who are “vibrant”, people who feel good to be around and leave us feeling uplifted and empowered. These people are vibrating at a high frequency and can inspire us as we evolve through life. They show us aspects of ourselves that we may not have fully embraced, yet. On the other hand, we all know people who cynical and negative and not very comfortable to be around. These people can help us to see these aspects within ourselves and show us how we don’t want to be vibrating and why. Most of us fall somewhere in between these two types of people and are a work in progress as we evolve and move towards those higher levels. There are many ways to raise your vibration. Having a consistent spiritual practice makes a big difference in our lives. Spending time every day, even if it is only for 5 minutes, to consciously choose where to focus your energy. When we focus on the positive aspects and can feel appreciation and gratitude for the abundance in our lives it shifts our frequency and sets the stage for the day. Meditation can change our life when we make the commitment to do it on a regular basis. There are a million ways to meditate and it can be done with your eyes closed and going within, or can be done while we are moving about in our day. 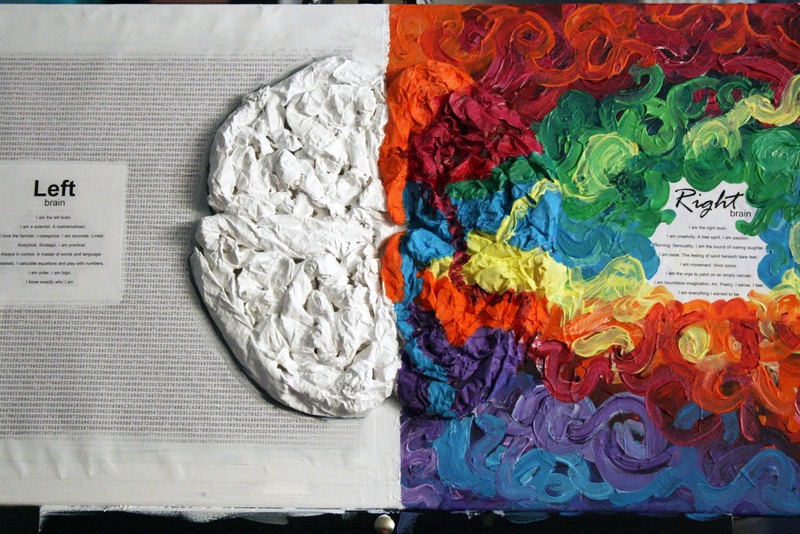 The left brain, “the monkey mind” is busy roaming about most of the time, thinking about the past or worrying about or contemplating the future but when we can be present…in this moment now…even for brief periods of time, we can train the mind to focus and choose the types of thoughts we want to think. Many of us need assistance from time to time, to shift the energy in our lives. We find ourselves stuck in repeating patterns of negativity, anxiety, anger, fear, dysfunctional relationships and physical dis-ease. Past Life Soul Regression can help us get back to root cause of these issues allowing us the opportunity to begin unraveling this negative energy pattern much quicker than we could do on our own. Once we are on a solid spiritual path and are ready for rapid advancement, the Between Lives Soul Regression can be a catalyst for moving us into those higher frequencies and helping us to re-remember who we really are and to begin living that more consistently in our daily lives. Regression Therapy is a marvelous tool for assisting us in moving up into those higher vibrational frequencies we are all striving for. It is a great honor to be able to facilitate this sacred work for others. Kristine Morton of the Harmony Healing Center has over 35 years experience in the healing arts field and more than 11 years as a Certified Regression Therapist. Kristine feels sooo fortunate too have had the pleasure of assisting so many on their journeys toward raising their vibrational frequencies to get beyond their own “monkey minds”. Give Kristine a call at 303-960-6483 or email her at kristine@harmonysoulregression.com to get started on r aising your vibration process today. If you haven’t yet checked out our web site, www.harmonysoulregression.com, please do. You’ll find an assortment of articles that Kristine and others have written over the years relating to Past Life and Between Lives Regression Therapy as well as other vibration raising topics. There are answers to Hynotherapy FAQs as well as a free self hypnosis audio. There’s also information about Kristine’s Spiritual Coaching practice and there’s a radio interview covering a lot of great questions. 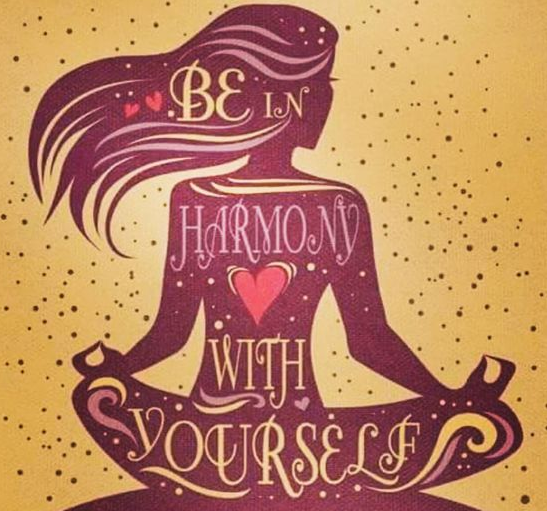 If you like what you see, or hear, please click the Facebook Button on the harmonysoulregression.com web site to visit my FB page or you can go directly to the Harmony Healing Center FB page to give us alike. It would be much appreciated and would of course help us to get the message out. Download your FREE Self-Hypnosis Audio! To maximize the benefit of this relaxation audio find a quiet place to sit or lie down. Take the phone “off the hook”. Start the audio and simply listen until the audio has finished. It may be useful to keep a journal or notebook close by to write about any thoughts that may have come to you while listening to the audio. If you have a friend, family member or colleague who you feel would like to receive the Harmony Soul Regression Newsletter please go to our sign up page send their email address to kristine@harmonysoulregression.com. Why we don’t have access to past lives and between lives in normal waking consciousness. I often get asked…”Why we don’t have access to the memories of our past lives and that space between lives in normal waking consciousness?”. The answer to that question is…we agreed when we came into this incarnation to come through what we call the veil of forgetfulness and we agreed to do that because we knew that in order to learn the lessons and achieve the goals we set up for ourselves this time around, we needed to forget everything. However… once we reach a certain level of soul progression it is not only appropriate for us to have access to those memories, it is the next step in our progression. Déjà vu is the experience or feeling that a new situation has happened before. Good examples of that are being in a town you’ve never been to before and yet you find you recognize streets and buildings. Or you take up a new sport or are learning a new musical instrument or a new language and amaze everyone, including yourself, at your natural abilities. These are little nudges from our subconscious mind letting us know there is more to this than meets the eye. Being naturally blessed with a musical talent or another gift can be a special ability that you worked hard to develop in a past life. Have you ever met someone for the first time and just feel as if you already know them? That is because we often reincarnate on earth with our soul family and many times our most intense relationships are with these “soul” companions. We contract with these special people to work through our unresolved issues together so both sides can heal. When we struggle in a life or have repeating patterns showing up that keep us from reaching our goals, these are usually lessons we have chosen to work through in this life. Each lifetime brings with it specific lessons that are necessary for our spiritual evolution. You have probably lived before as another gender or part of a different social or economic class. We return to this earth many, many times to evolve, learn, grow, transform and with an intention to become more spiritually attuned each time around. Past life recall can give us valuable insights into our past, present and future lives. Bringing these memories up to the conscious mind can help us overcome present obstacles, understand phobias and resolve relationship issues. Regression Therapy is a tool to assist us in finding the answers we are looking for inside our ourselves rather than out in the world. And while it can be exciting and enlightening to re-examine these memories, it is important to remember the reason to do this is to create more peace, ease, joy and fulfillment in this CURRENT life. It is with great honor and humility that I facilitate this sacred work. With over 35 years in the healing arts including more than 11 years in Regression Therapy, Kristine Morton of the Harmony Healing Center is one of the most experienced Regression Therapist Denver has to offer. Give her a call at 303-960-5970 or email her at kristine@harmonysoulregression.com to get started on your healing process today. If you haven’t yet checked out our web site, www.harmonysoulregression.com, please do. You’ll find an assortment of articles that Kristine and others have written over the years relating to Past Life and Between Lives Regression Therapy There are answers to Hynotherapy FAQs as well as a free self hypnosis audio. There’s also information about Spiritual Coaching practice and there’s a radio interview where Kristine covers a lot of great questions. If you like what you see, or hear, please visit our Harmony Healing Center FB page by clicking on the Facebook Button and give us a like. It would be much appreciated. Click Here to download your FREE Self-Hypnosis Audio! To use this Relaxation Audio find a quiet place to sit or lie down. Take the phone “off the hook”. Start the audio and simply listen until the audio has finished. It may be useful to keep a journal or notebook close by and write down anything that comes to you while you listened to the audio. If you have a friend, family member or colleague who would wish to receive the Harmony Soul Regression Newsletter, please send their email address to kristine@harmonysoulregression.com. Posted in Kristine's Articles by admin. Comments Off on Why we don’t have access to past lives and between lives in normal waking consciousness. Start a dream journal and write down at least one dream you’ve had the previous night every morning. Perform Mnemonic Induction of Lucid Dreams (MILD) before you sleep. With this technique, you induce lucid dreaming in four parts: Dream Recall, Reality Checks, Lucid Affirmations, Dream visualization. You can find out exactly how to do so here. Induce your lucid dreams by using This is called Smell Induced Lucid Dreams (SILD) and some people have found it to be very effective. Use frequent reality checks. Every few hours throughout the day check whether or not you are dreaming or not. Look at a clock and then look away and then look back to the clock again. Often, in dreams, such details such as the exact time will be nonsensical or nonlinear. Drift back to sleep when awakened from a dream: At the point where you wake during a dream and can remember it in detail, write it in your journal. Then, upon falling asleep again, think about the details of the dream. Set your alarm to wake you during REM sleep (about every 90 minutes) and then record your dreams. Finally, lucid dreaming is not just about gaining a measure of control of your life but it is also about interpreting messages that may be vital to your psyche. We can also help you decode messages that your subconscious may be trying to communicate to you. That is the goal of past life therapy. It has often been said by people who believe in reincarnation and past lives, that there is no such thing as a “new soul.” Within each of us reside the memories and experiences of countless reincarnations of which only a tiny minority of people can access. The lives we’ve lived in the past can contain experiences and encounters that run the gambit from being uneventful and quite mundane to being quite traumatic. Therefore the question becomes – usually from non-believers – if life is eternal and we have lived before, how can we forget our past lives? As regression therapy experts whose job it is to help people discover the connection they have between each of these incarnations, we believe there are several reasons as to why only therapy can accomplish this. Avoidance: One reason many people are not able to remember their past life experiences is that they feel the need to suppress in them negative memories from the past. Moreover, there is the belief in some people that the past should be the left in the past. However, believing this can have consequences in that past lives can have a way of asserting themselves into our present life and relationships whether we consciously acknowledge them or not. Societal norms: Many people in Western Cultures are still not ready to accept the concept of past lives and reincarnation. This fact breeds a societal prejudice towards people who believe in this concept. This is slowly changing as psychiatrists and many other professionals are finding such therapy beneficial for their patients. To protect our ego: Each “new” life provides an opportunity for us to form new relationships and experiences. The personality that is formed in your current life seeks to not be overwhelmed by your experiences from those of previous lives. For our own sanity: Remembering every detail of every life would be overwhelming depending on the number of incarnations one has had. For example, would you want to remember every wrong, every tragedy that had occurred to you, your family or friends in past lives? Most likely you would not. Finally, we at Harmony Soul Regression are all about clarity of mind and spirit. We believe clarity about past life experiences can give context to current life experiences and relationships. Past life regression therapy – such as the kind we practice at our harmony healing center – helps our clients become cognizant of past life experiences that can be at the root of current life stress, pain, blockage, phobias and other types of dysfunction. This is why guided therapy sessions are best for unearthing past life experiences so that we can help you deal with the results. Generally regarded as one of the greatest military minds in American and perhaps world history, General George S. Patton (11 November 1885 – 21 December 1945), is also one of history’s most colorful figures as well. He was as known for his pithy statements and direct approach to solving problems as he was for his military genius. However, what people who only know him by name don’t realize is that Patton was a firm believer in past lives and the concept of reincarnation which during his lifetime was not an accepted notion in the West. This is why Patton holds the interest of people who specialize in metaphysics and past life regression therapy. That a man so pragmatic and hard-nosed could believe in this metaphysical concept amazes people who first learn of his belief yet his life is full of quotes and experiences to back up the claim. Patton’s official religion was Episcopalian; however, his belief in reincarnation aligns itself more with religions of the east than with the Abrahamic religions of the West. Reincarnation is a tent pole of religions such as Buddhism, Hinduism, Jainism, and Sikhism. Even Greek figures like Pythagoras, Socrates, and Plato strongly believed in the concept of past lives. Patton died as the result of a vehicular accident at the age of 60. Throughout Patton’s storied career, he intuited that his past lives had always involved the need to distinguish him in battle and to serve a greater cause. He instinctively felt during several battles a sense of being in a similar situation in another life centuries earlier. At our facility it is not uncommon that we encounter people who intuit that they may have unfinished business that has carried over with them from another life. Other patients have no concept of or belief in reincarnation. 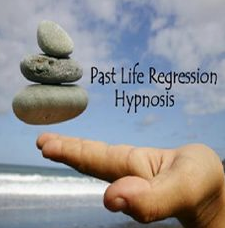 In either case, we specialize in past life regression in Denver that is thorough and probing. We can help people regardless of their feelings about this phenomenon. Much of the work we do here at Harmony Soul Regression rests squarely on the shoulders of others who have pioneered the fields of psychology and hypnosis. These men and women have not only explored new vistas of the human psyche, they did so in a relatively “unscientific” era often encountering skepticism, superstition and sometimes outright hostility to these new ideas. Between lives soul regression would not be possible for our regression therapist were it not for these trailblazers. This is why we would like to list some of the more notable pioneers in the field of hypnosis in particular. In a technical sense, hypnosis predates modern Western civilization and actually stretches back into ancient history. It is thought that the practice was used by the Ancient Greeks as a way to prepare patients for surgery. For the purposes of this post we are referring to modern pioneers in the field. Franz Anton Mesmer (1720-1792): Mesmer developed a method called “animal magnetism” that was the forerunner of early hypnotism. His ideas gained wide popularity from 1780 and 1850 and were later revised and explored further by Scottish physician James Braid. James Braid (1795-1860): Braid attempted to rename “animal magnetism” (mesmerism) using the then new term “hypnotism” which he derived from Hypnos, the Greek God of sleep. Hippolyte Bernheim (1840-1919): This French physician and neurologist, is best known for his theory of suggestibility as it relates to hypnotism. Bernheim first suggested the idea of “false memories.” His published works include “De la Suggestion dans l’État Hypnotique et dans l’État de Veille”, Paris, 1884 and “De la Suggestion et de son Application à la Thérapeutique”, Paris, 1887. Sigmund Freud (1856-1939): This founder of psychoanalysis started his career as a hypnotist and introduced the concept of hypnotic regression. Volumes have been written about Freud’s contributions to psychiatry. Clark Leonard Hull (1884 – 1952): This behavioral psychologist and former president of the American Psychological Association pioneered early scientific research into the phenomenon of hypnotism. Ernest Ropiequet “Jack” Hilgard (1904 – 2001): Hilgard, was an authority on pain management as it relates to hypnosis. His Stanford Hypnotic Susceptibility Scale (SHSS) is to this day the most widely-used research tool in the field of hypnosis. Today, much of what we know about hypnosis comes from the works of the above individuals and others too many to mention here. Unlike some of these individuals, we live in an age of relative enlightenment when it comes to new ideas. We use a wide range of these techniques in our therapy to unearth problems that extend far back into our patients’ psyches. Often these journeys lead us directly to past lives. The goal of regression therapy and past life healing is to delve into the subconscious mind and extract from it what information it can that can help patients in the material world. But what has been clear to science and metaphysics for some time is that the subconscious mind is a strange and fascinating frontier of which we are still only beginning to fully grasp. The irony here is that the way it works and perceives our world is so vitally important to our everyday lives. Here are some of the interesting things we do know about the subconscious mind that aids us in our work here and can help our patients. 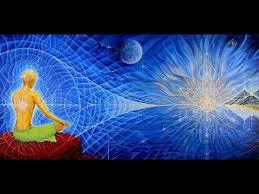 It speaks to us in our dreams: Dreams and regression therapy are the main ways the subconscious communicates with us. It is all a matter of being open to what the subconscious has to say to us as it is brutally honest. The preconscious mind is not logical: The feeling mind is irrational and thinks non-linearly. The subconscious is more powerful than your conscious mind: Your subconscious mind processes endless amounts of data about your life and then translates it into our brains for later interpretation. The subconscious mind is transcendent: Our subconscious mind stores data not just about our present lives but also about our past lives. The subconscious powers our minds: The subconscious mind controls most of our behavior on some level. The subconscious mind is primal: Our instincts and emotions are thought to originate from our subconscious mind and its needs. It is ruled by these emotions and instincts rather than by reason. Our subconscious mind controls us: We may think that we make decisions with our conscious mind but in many cases we are only following the dictates of our subconscious. We can learn to program our subconscious mind: Using visualization and other therapeutic techniques (under the guidance of a professional) we can learn to program our subconscious mind. Yes, by delving into the subconscious we can help you resolve many of the issues that may be plaguing you in your everyday, conscious life. That is part of what we do at Harmony Soul Regression. Our sessions are conducted by experts in the field of regression therapy and past life healing who can help you interpret ideas and emotions whose origin you may not even be aware of consciously. Great historical detail: Most dreams are very general and the images that populate it are of objects and people that are familiar with your current life. Dreams that contain detailed events and places from other times may signify that you are experiencing memories of a past life while you are asleep. Repeating and unchanging dreams: Past life dreams are most focused and less chaotic than regular dreams. Regular dreams occur to us in a non-linear fashion; past life dreams do not. Imparts information outside of our learning: During the course of a past life dream, people can often display learning, talents, skills, and abilities that they have not acquired (e.g., surgery, a foreign language, etc). Occasionally, this information may even manifest itself during a person’s waking hours. Have you ever had a dream where you were aware that you were dreaming? In that dream have you ever deliberately affected the outcome of the scenarios presented in it? That is a lucid dream. Lucid dreaming can be effective in helping to uncover a past life. Lucid dreaming and hypnosis are both an altered state of consciousness so it is entirely possible to lucid regress. Of course the best way to do so and to interpret such dreams is by consulting with a professional. She will be able to help you determine if your dreams may be connected to a past life and thus set you on the road to resolving a number of issues that may be causing you difficulties in this life. Kristine Morton can help you gain such clarity and is trained, licensed and fully certified in regression therapy. We’ve all heard the joke about the woman who was hypnotized into thinking she was a chicken and whose husband refused to have her brought out of it. Finally, after a time, the man had the poor woman “de-hypnotized.” When later asked why he waited so long the man replied, “Because we needed the eggs.” (I do confess that the joke is so old that I may be taking some license in recalling exactly how it goes.) The point is it is easy and even natural to make light of things we don’t understand and around which so much misinformation lies. At Harmony Soul Regression we want our clients to know as much as they can about this phenomenon that may help them find clarity in their lives. We want our clients to know that hypnosis is neither scary nor magical. It is a tried and tested method of delving into the subconscious with the goal of ultimately bettering the lives of patients. Moreover, it has been used for decades to solve crimes, to counsel patients, to manage pain management, etc. Therefore, so that you can better understand this phenomenon, we would like to give you the facts about and dispel some of the myths surrounding hypnosis. Myth #1: The Person the hypnotist controls has no independent will. Fact: While the hypnotist does have some control over the subject, it is not possible to have that person do something this is obviously dangerous and wrong. Myth #2: Only the mentally weak can be hypnotized. Fact: This is certainly not true. People vary in how susceptible they are to hypnosis. In fact, it has been estimated that around 30% of the people are resistant to hypnosis. Fact: Stage hypnotist who entertain at parties, etc., have promulgated this myth. Experts can tell you that hypnotherapy can take several sessions before great progress is made. Fact: Scientific studies have shown that hypnosis is an effective form of therapy for many conditions. Fact: This gets back to our chicken lady joke. Hypnotherapists always end the session at some point. Even if they did not, the client would eventually either become fully alert or would fall asleep. In conclusion, hypnosis is an often misunderstood phenomenon that has been around for many decades and has helped many people from all walks of life resolve problems in their current and even past lives. At Harmony Soul Regression we feel that information empowers our patients to be able to help in their own therapy.